In today’s ever-expanding business environment, keeping your team on top takes hard work, determination and the utmost reliability in terms of getting everyone where they need to be when they need to be there, while enabling them to stay productive and keep confidential information secure in the process. So how do you keep your team in top form while trekking all across the globe? Simply put, flying privately gives you the freedom to take control of your business travels, making the most of each minute of the day to keep your team on top. Unlike commercial airlines and business-class flights, private jets have access to a whole world of airports previously unreached by your business, allowing you to avoid the congestion of popular ‘hubs’ in favor of a more convenient location closer to your meeting, increasing your productivity and efficiency. In today’s economy, aviation leasing has become easier than ever due in part to a variety of financing and ownership options that provide significant flexibility. The global bloom in business aviation comes as no surprise to the experts. Don’t fall behind the competition. Start on your way towards finding your private aircraft solution. Determining how your aircraft will routinely be used is the best starting point when it comes to choosing the proper private aircraft for your business needs. Before looking at any business jets for lease, take some time to sit with your team and evaluate some key performance indicators and factors that will provide with the foundation to choose the right jet. Once the facts and figures have been laid out on the table, it’s time to bring in a business aviation consultant to guide you through the rest of the aircraft selection and financing process. While doing it yourself may seem appealing, working with a private aircraft management company and a team of experienced buying consultants or brokers can save you time and money on your way towards private aviation. There is no end to the options for private aircraft available to fit with almost any need your business has. Take some time to outline your wants versus your needs to determine what jet works best for your team. Ask yourself these five questions, and you’ll have your team flying in no time at all. Will it Allow Your Employees to Be More Efficient and Productive? One of the leading reasons that businesses turn towards private aviation options is to effectively manage their valuable time. That being said, you will want to ensure that whatever jet you choose provides your top employees with all the tools and amenities they need to stay ahead of the competition whether on the ground or in the air. Do You Need to Reach Multiple Places in One Day? In today’s business environment, many of the top performing companies have their team jet-setting across the globe from one destination to the next to boost connectivity and stay ahead. If you’ll be needing a jet equipped to handle the long haul, make sure you factor in fuel and comfort needs when choosing the right private aircraft. Flying private aircraft puts you in control of the travel itinerary that allows you to dictate your flight schedule. 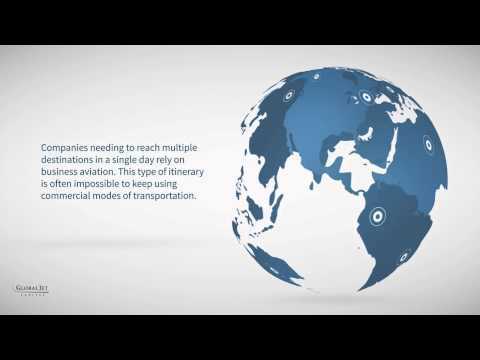 Do You Need a Secure Way to Travel and Discuss Business? A key to staying ahead in today’s competitive business environment is keeping your company’s most valuable asset, information, close at hand. Flying privately aboard your executive aircraft allows your team the freedom to discuss private company information in confidence knowing that your jet is safe and secure from eavesdropping and monitoring. Do You Need Constant Contact with Your Coworkers on the Ground? Staying connected in the air can give your team the advantage of constantly knowing what’s happening on the ground, allowing them to adapt any meeting strategies or presentations to reflect real-time data and information. Do You Need a Safe and Secure Way to Transport Items? Private aviation gives your company control over what can and cannot be carried onboard, allowing you to transport even the most delicate of objects with ease and efficiency to help your team stay on top of its game. Keeping your team efficient and productive is the key to bigger profits for your brand. Start building your bottom line and watch your business take flight with the help of Global Jet Capital. As one of the country’s most experienced private aviation leasing companies, the representatives at Global Jet Capital can help negotiate the best possible aviation financing options to suit your business’s needs. Contact one of our representatives today and start setting your business ahead of the rest with private jet leasing and financing from Global Jet Capital. Follow us as we explore the changing landscape of the business aircraft market.